A group of Amsterdam-based university professors and group leaders at AMOLF came up with the winning bid. 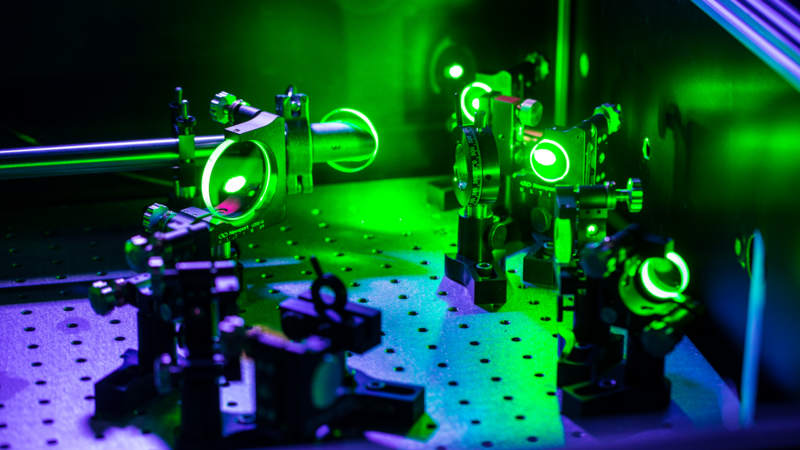 That was the starting point of the Advanced Research Center for Nanolithography, a new type of public-private partnership between the University of Amsterdam, the VU University Amsterdam, the Netherlands Organisation for Scientific Research (NWO), and ASML. 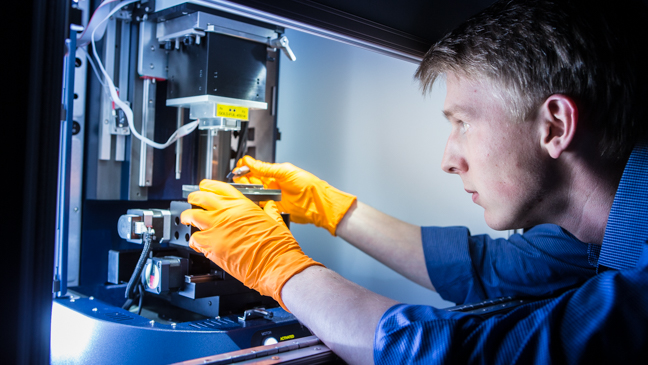 It combines the best of both worlds: the academic focus on scientific excellence and ASML’s focus on a well-defined application area. Just like the other NWO institutes, ARCNL has strong ties with the universities. It has access to all academic grants and most of its research is performed by PhD students and postdoctoral fellows who are supervised by assistant (tenure-track), associate and full professors. Professor Joost Frenken is the scientific director of ARCNL. Dr. Marjan Fretz is responsible for the day-to-day management. The center has a Governing Board, an Institute Advisory Committee and a Scientific Advisory Committee whose members are internationally renowned scientists. ARCNL now employs about 60 ambitious young researchers from all over the globe. They are trained to do fundamental research at the highest level while at the same time working closely together with industry. ARCNL is therefore breeding a new generation of entrepreneurial researchers. They know how to follow their curiosity, while being guided by the challenges of industry. In preparation of the SEP-evaluation, ARCNL wrote two important documents: strategic plan 2017-2021 and self-evaluation over the period 2014-2016. The self-evaluation looks back and reviews the achievements of ARCNL in the period 2014-2016. The strategic plan looks forward and shows the plans ARCNL and its staff have for the future. From 20-22 September 2017 an international committee, chaired by prof. dr. Ellen Williams, came to Amsterdam for a site visit. The outcome of this evaluation will be formulated in a report, which will be (publicly) available in March 2018. We are all very pleased to already share with you that the committee is very positive about the achievements and future direction of ARCNL!